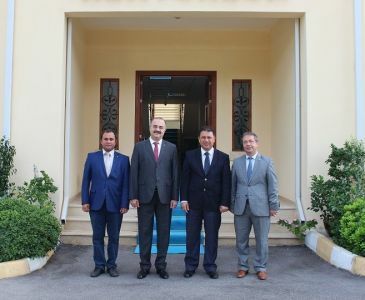 By visiting Erzurum Technical University Rector Prof. Dr. Bülent ÇAKMAK at his office on January 21 2019, ITU-TRNC Rector Prof. Dr. Ercan KAHYA added another university to their academic cooperation protocols. After the program, Prof. Dr. Ercan KAHYA visited High Technology Application and Research Center (HTARC) and exchanged information about possible common fields of study with ETU Research and Development. ETU HTARC Director Prof. Dr. Fatih YETİM provided information to Prof. Dr. Ercan KAHYA about dual 1000-classed cleanroom, which included photonic and solar technologies, bio-mechanic, bio-material, micro and nano-scale mechanics, organic LED technologies, bio-technology and seismic research systems. All of these also included information regarding lab-research its production ratio. 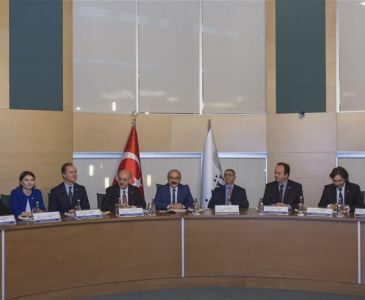 ITU-TRNC Rector Prof. Dr. Ercan KAHYA stated that apart from ETU’s academic and technical opportunities, their quality of education is something to be proud of.